Audify®|Exeter is our flagship hearing centre, the first in the world to exemplify The Audify® Way, a revolutionary new approach to hearing care that begins with the central role that hearing plays in life. Whilst a website can never replace your experience of visiting our practice, we wanted to explain some of the thinking behind just a few of the features you'll find when you come to see us. 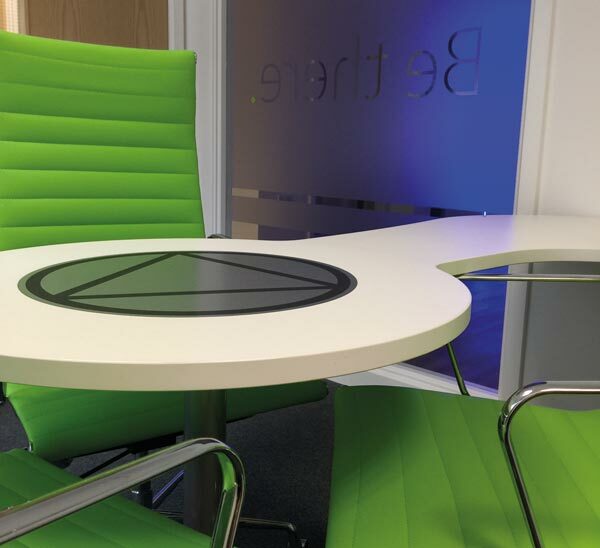 Audify®|Exeter gave us the opportunity to begin with a blank slate. So we began by asking ourselves, what might the future of hearing care look like? And how would this future differ from what is found today in hearing care? Top of our list was the need to somehow simulate the sounds enountered out in the real world, because that was the only way to truly measure hearing performance—and especially to demonstrate any improvement that has been made. 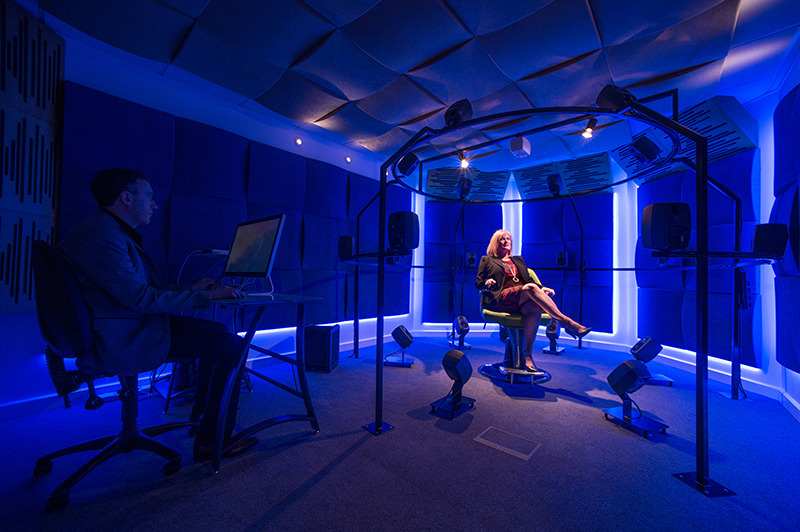 We also realised that the traditional methods for assessing hearing were extremely limited and crude because there was no way of simulating 3D sound–and 3D immersive sound is a huge part of how we hear, especially when there's a lot going on around us. And so the concept of the Audorama™ was born. Another priority for Audify® was to make it easier for our clients and guests to experience hearing technology for themselves. Traditional hearing care has relied upon people taking huge leaps of faith: committing to expensive trials before they even get to “sample the wares”. Even then it's rare someone will have the opportunity to compare two or more technology levels or manufacturers. We believed it was time for this to change. So we developed our own advanced method of recording what an individual hearing system sounds like when worn. 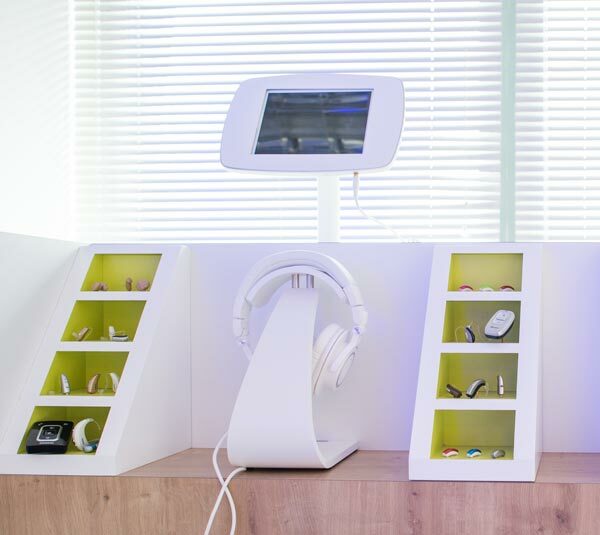 Now our clients and guests can listen to and compare the performance of different hearing technology for themselves – simply by listening through headphones. When designing Audify®|Exeter our goal was to create an environment that was optimised for getting the best of hearing. That meant examining every aspect of hearing care and asking, is this the best way? We then set about ensuring that every aspect of Audify® – from the layout of the rooms, to the equipment we used – best matched its purpose. For example, we fashioned the furniture in each of the consulting rooms around our collaborative approach to hearing care. Whilst interactive technology makes it easier to explain the results of a hearing assessment, our consultations enable clients and guests to gain a better understanding of how their hearing works.